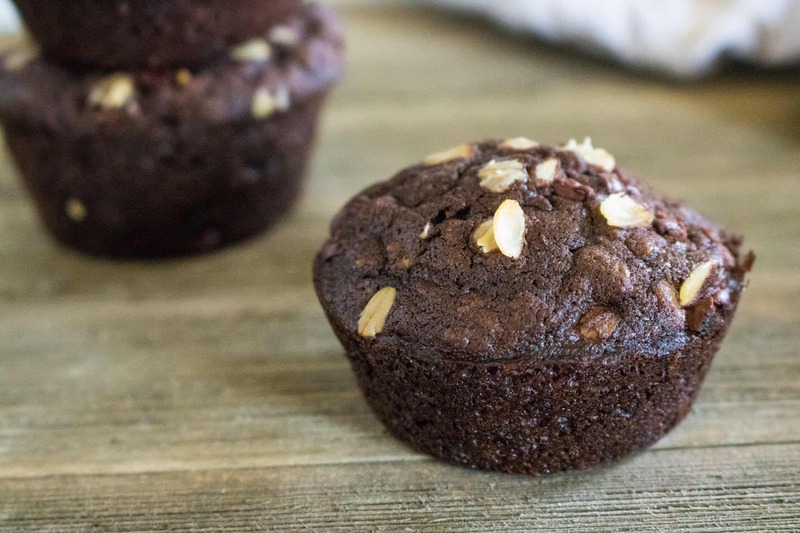 Make your mornings a little more delightful with this delicious recipe for Chocolate Chocolate Chip Oatmeal Muffins! If your house is like mine, mornings can spin out of control in a heartbeat. Coffee needs to be made and consumed (because frankly, absolutely nothing happens in my house until at least a few sips of hot caffeine has entered my veins). Lunches need to be made, packed and distributed. Backpacks need to be loaded. Of course, everybody has to get dressed. And hopefully, somewhere in all that chaos, you are able to get something into everyone’s belly for breakfast. Luckily, these Chocolate Chocolate Chip Muffins are an easy and tasty breakfast solution. They are an awesome, tasty grab-and-go breakfast treat. If you’re really running late you can grab one on the way out the door, as long as you don’t mind a few crumbs in the car. They have the whole chocolate thing going for them! Most kids love chocolate so it won’t take much to talk them into munching on one of these before they head off to school. 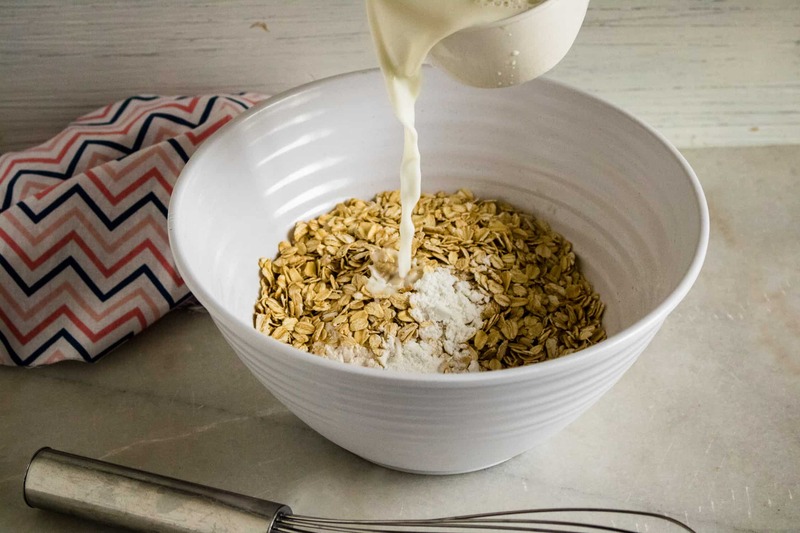 They have healthy oatmeal as an ingredient which means you’re not just having chocolate for breakfast, but they actually have a healthy component to them as well! ‘Tis the season for all things pumpkin! Jump on that bandwagon and make these amazing Pumpkin Muffins with Cream Cheese Glaze. This hearty Instant Pot Quick Oats with Raisin, Apple and Maple Syrup is a stick-to-their-ribs type breakfast that’s ready in just minutes. Plus, thanks to the wonder that is the Instant Pot, you can just set it and forget it! 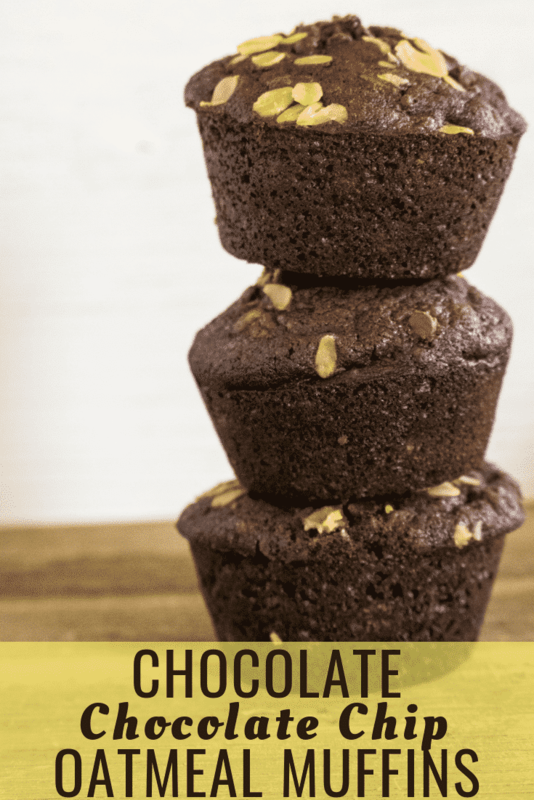 Love the idea of using chocolate to coerce your family into eating breakfast, but want something other than a muffin? This Instant Pot Double Chocolate Quick Oats with Strawberries is the perfect solution. 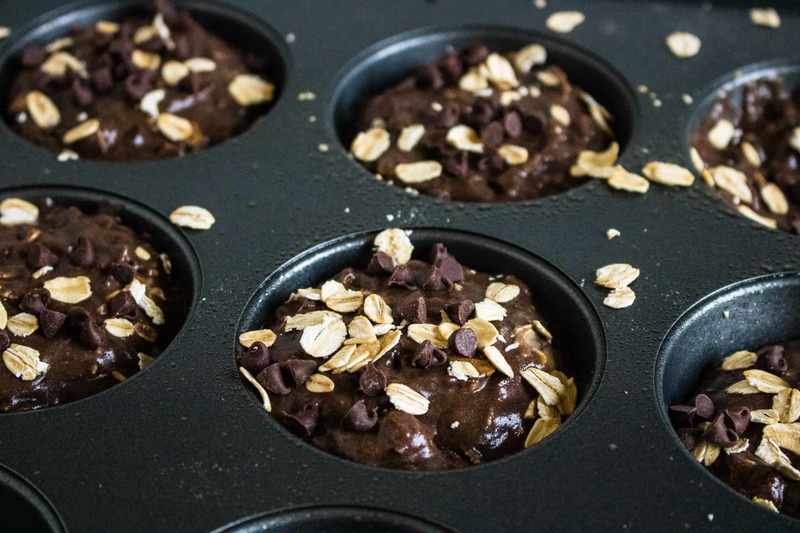 Chocolaty goodness with lots of oats to stick with them throughout the morning. Plus, it has fruit in it! Talk about a win-win! Step #1: Preheat oven to 400 degrees. Step #2: Mix dry ingredients until well combined. Add in sugar and wet ingredients, stirring to incorporate. 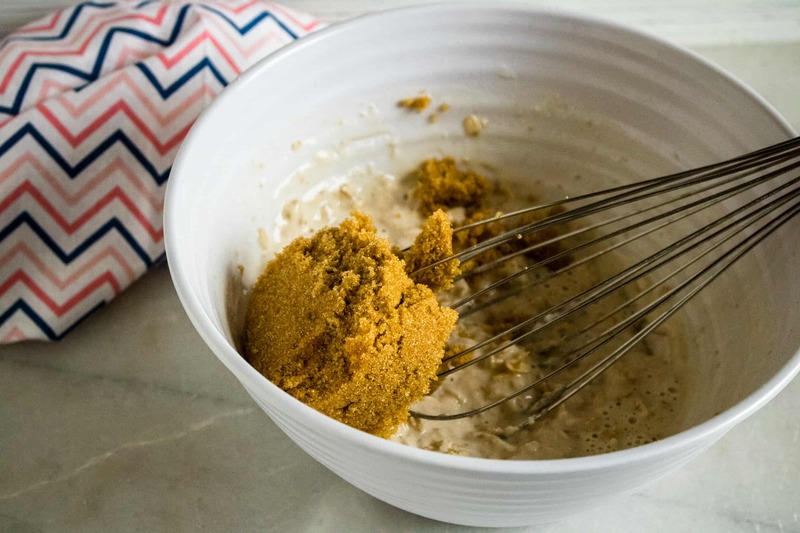 Step #3: Add brown sugar and mix. Step #4: Fold in dark cocoa powder and mini chocolate chips. Step #5: Spray a muffin tin with nonstick cooking spray and divide batter between muffin cups. Step #6: Sprinkle with 1 tablespoon oatmeal and mini chocolate chips. Step #7: Bake for 20 minutes or until a toothpick inserted in the muffins comes out clean. 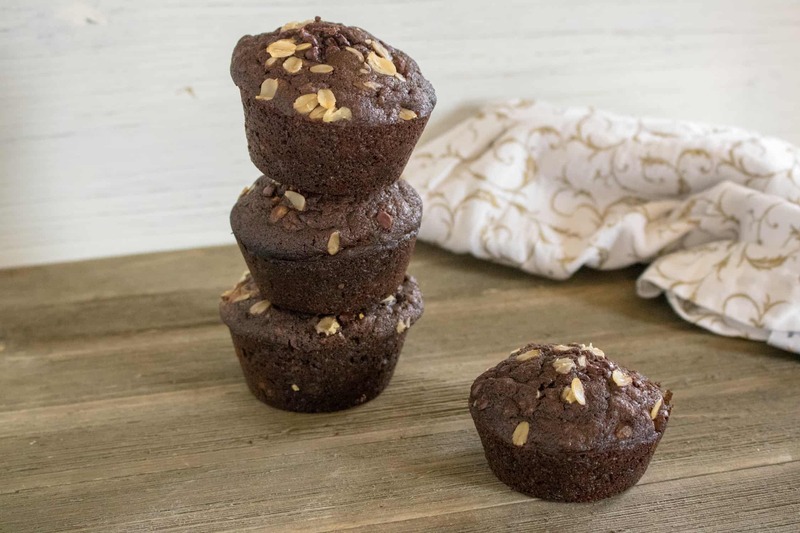 Chocolate Chocolate Chip Oatmeal Muffins are a quick and delicious breakfast solution. Mix dry ingredients until well combined. Add in sugar and wet ingredients, stirring to incorporate. 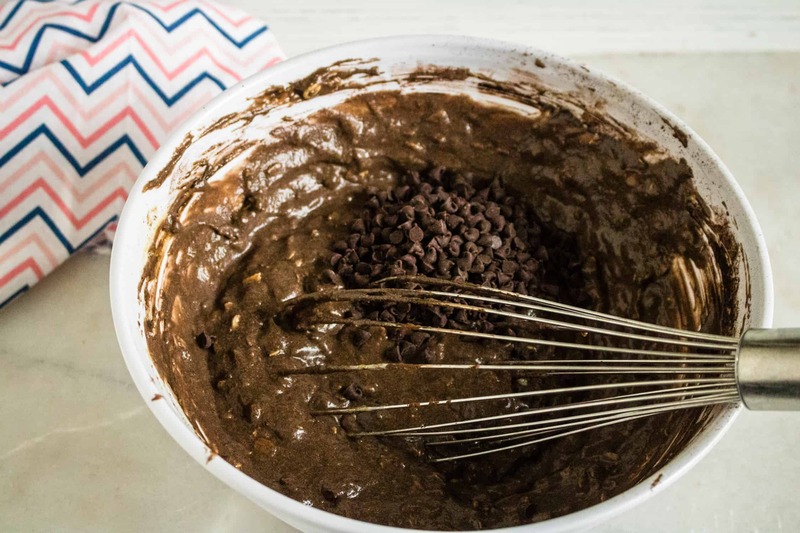 Fold in dark cocoa powder and mini chocolate chips. Spray a muffin tin with nonstick cooking spray and divide batter between muffin cups. Sprinkle with 1 tablespoon oatmeal and mini chocolate chips. Bake for 20 minutes or until a toothpick inserted in the muffins comes out clean.